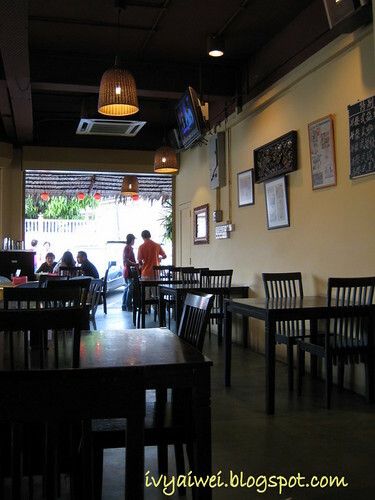 This was dunno how many N times I was here for the hot and spicy authentic Thai cuisine. 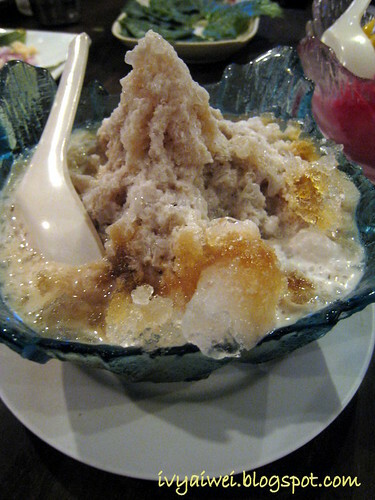 I was here again with the makan kaki; to bid Sugar‘s farewell in last summer. 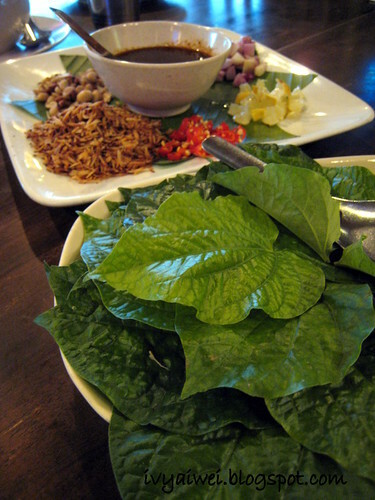 We started with the appetizer, Miang Kam (RM 12). 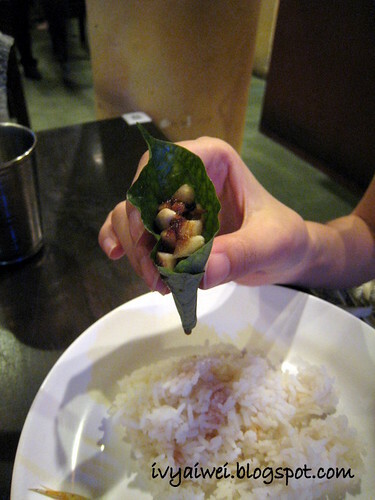 With fresh Cha Plu leaves, we fold it intoo cone shape and filled up ingredients like granted coconut, shallots, unpeeled lime, roasted peanuts, dried shrimps, freshly chopped ginger, onions and finally pour over a little coconut palm sytup that has premixed with Thai fish sauce onto it. 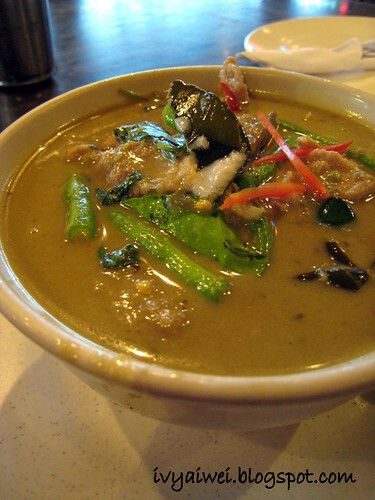 Pork Green Curry (RM 16) was flavorful and creamy with pork strips in it. Deep Fried Kangkung (RM 8) was the girl’s fave. Never forget to dip the crispy vege with the minced pork special sauce that enhance the flavour. 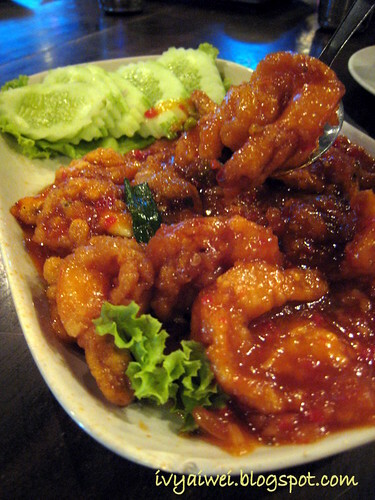 Deep Fried Chili Seafood (RM 20) was just okay. 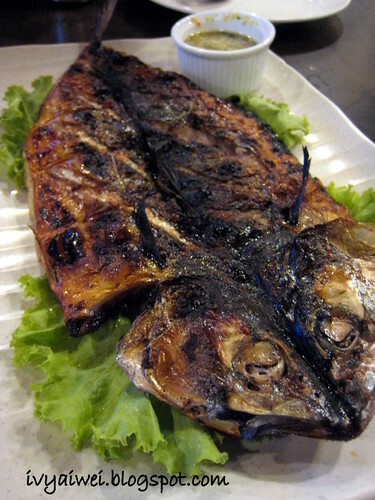 The salted baked fish was not available on that night; we then had the frilled mackerel, the Saba (RM 30). It was smokey, burnt but fragrant with natural fresh sweetness of the fish. Never not order Tom Yam when you visit to Thai Restaurant. 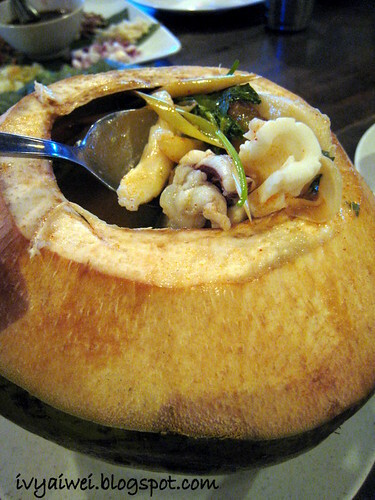 Seafood Tom Yum (RM 20) that was served in the coconut was hot, sourish and spicy. 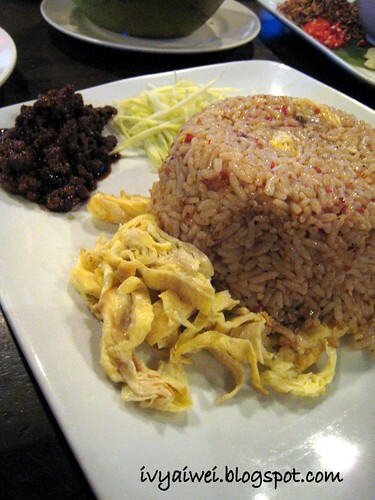 Thai Fried Rice (RM 7.30) served wit spicy minced pork. 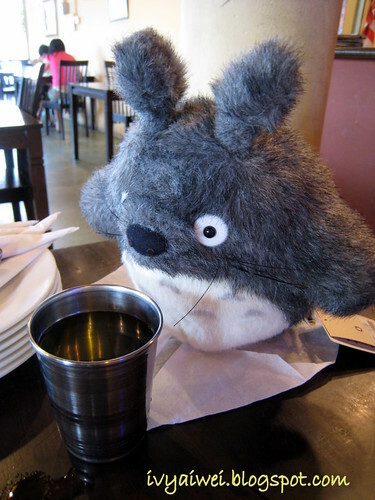 The Bean who was ‘stuck’ in Cardiff was represented by a Totoro Bean. 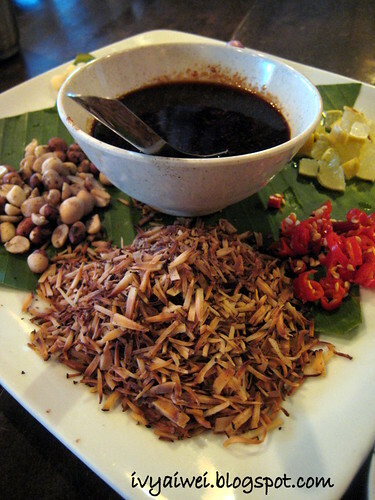 Been craving fr thai food! 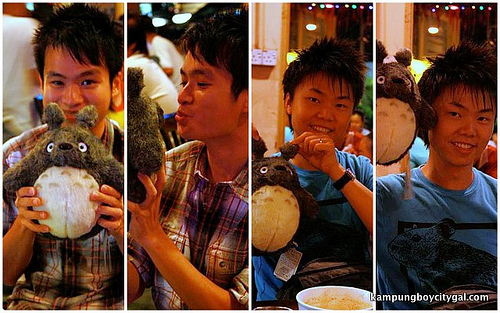 but this plc ahh..far for me..need a big group to go somemore then can staple many many stuffs! 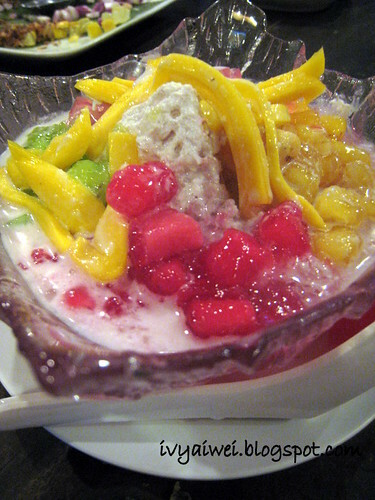 I have been too long never go to Thai restaurant, kids can't really take spicy food, miss these kind of food lor. 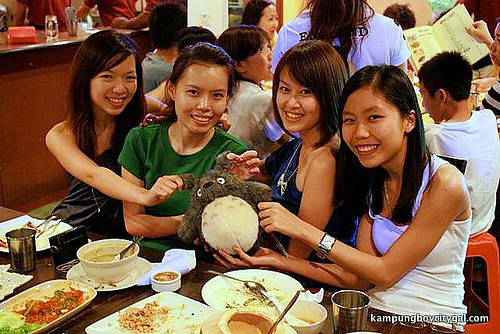 yayaya, that's why i like to go makan makan in groups. can try more stuff. Looks like a nice place for a meal. 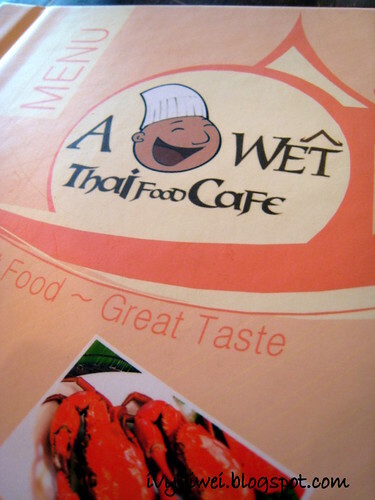 A Wet Thai Cafe sounds like Songkran festival to me. LOL! the pig neck looks so succulent!!!! 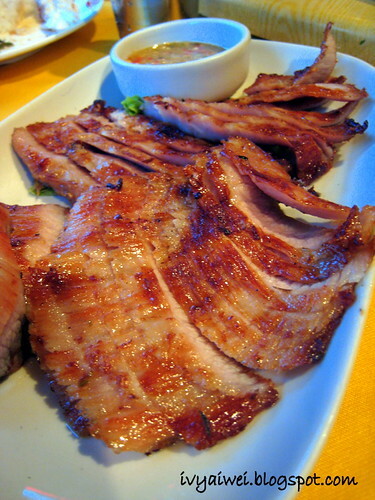 the garlic neck pork slices..looks like something that hard to resist! it's GRILLED pig's neck slices. what a cute name! 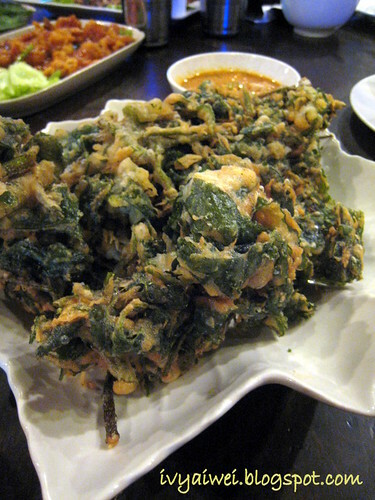 i don't believe i've had deep fried kangkung before.. deep fried kailan yes! 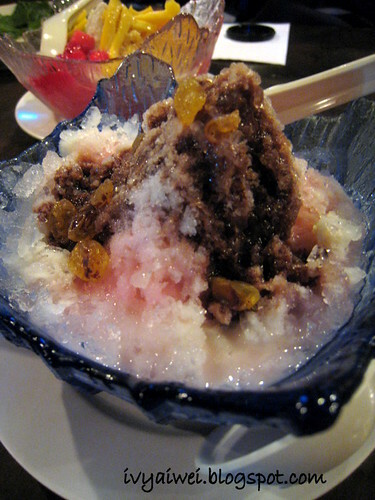 Makan at this place yesterday evening as per your recommendation. Not bad. Will revisit again! lovely, glad that you love this place. this is my fave place for thai food!! !